They’re gorgeous and delicious, but why are beets good for you? They’re rich in fiber, high in natural nitrates and antioxidants, and they might even moderate blood sugar. Why are beets good for you? 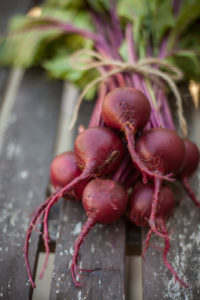 Our post lists several points, all of which will have you seeking out beets next time you're at the market. If you aren’t already eating beets regularly, you should start. 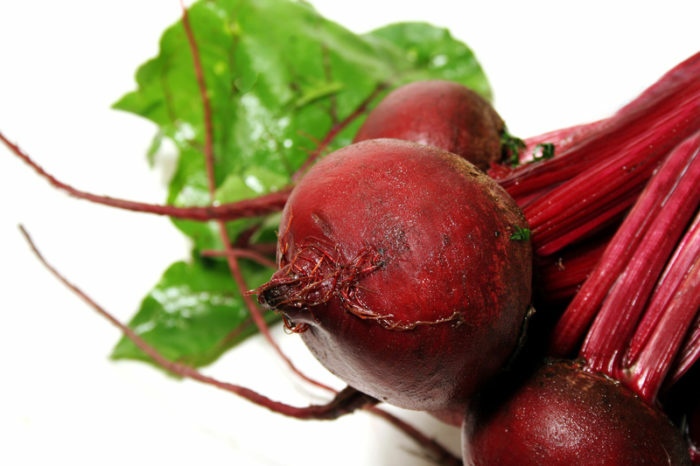 Beets are well-known for their numerous health benefits in a number of areas. Why are beets good for you? They’re known especially for their ability to fight high blood pressure and improve endurance. But recent research suggests that beets can also improve insulin responses and help lower blood sugar. If you’ve ever had beets, you know that they’re characteristically sweet. And yes, this means that beets do have a moderately high glycemic index, so they theoretically should produce a larger rise in glucose compared to many other foods. The glycemic load, however, takes into account the total amount of carbohydrates in a serving. While the glycemic index of beets is high, the colorful vegetable doesn’t actually contain a high amount of carbohydrates per serving, making the glycemic load lower. This means that you would have to eat a lot of beets—more than you probably ever would in one sitting—to cause a significant rise in blood glucose levels. Beets are rich in fiber, which helps to fight high blood sugar. 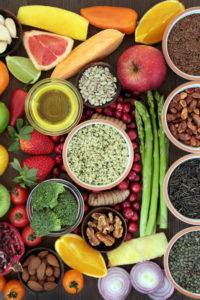 Increased dietary fiber intake is associated with better blood sugar control in patients with type 2 diabetes. Fiber slows down digestion and thus helps prevent the quick rise in glucose that can be dangerous. Beets contain a host of antioxidant compounds, including many phenolic acids, flavanoids, and betalains. Antioxidants like these, studies suggest, can help modify blood sugar levels after meals. In fact, researchers have found that a predominant component of beets is the yellow/orange pigment called neobetanin, which is believed to play an important role in insulin and blood glucose function. While synthetic nitrates found in preserved foods can cause significant adverse health effects when consumed in large quantities, beets contain natural nitrates that are beneficial to your health. These nitrates help to lower blood pressure and may help to lower blood sugar as well. Low nitric oxide is associated with insulin resistance, and consumption of nitrate from beet juice can increase nitric oxide formation. Multiple studies have investigated the effects of beet consumption on blood sugar and insulin responses. In one study, 225 mL of beetroot juice significantly reduced blood sugar up to 30 minutes following a meal compared to a control. Insulin levels were also lower after the meal. Researchers believe that antioxidant compounds like polyphenols and betalains, both found in beets, are likely important in the prevention of diabetes and the control of glucose levels. It seems that dietary modifications, such as eating more foods like beets, can help to lower glucose and insulin levels, which is important to prevent type 2 diabetes and metabolic syndrome. In the comments section belowDo you eat beets for your health? Share your favorite recipes or tips for preparing these healthy superfoods. Nutr J. 2013 Dec 11;12:159. 2 diabetes, antioxidant, antioxidants, beets, blood glucose levels, blood pressure, blood sugar, blood sugar control, blood sugar levels, diabetes, diabetes 2, dietary fiber intake, digestion, endurance, fiber, fight high blood pressure, glucose, glucose levels, Glycemic index, glycemic load, health, high blood pressure, high blood pressure and, high blood sugar, high glycemic, high glycemic index, hypertension, insulin, insulin resistance, lower blood pressure, lower blood sugar, metabolic syndrome, nitrate, nitrates, polyphenols, sugar, sugar glycemic index, sugar levels, the glycemic index, to lower blood pressure, type 2 diabetes, vegetables, vitamin, vitamin a, why are beets good for you.